Maybe this is the last blog post I write this year, since I have to relax and spend some dedicated superb time with my son the last few days of 2011. I would like to thank my readers through 2011 for all the feedback and comments. Either directly on my blog or through mail. I appreciate it and would like you to continue this in 2012 as well. Remember to join "Virtualization and some coffee" on facebook in January, and participate in the cloud campaign. Feel free to ask questions (both in English and Norwegien) and myself and the rest of the expert panel will try to answer and help you as best as we can. I will have an introduction of the panel early in January, so that you all know the faces behind this campaign. Happy holiday and see you all in 2012. 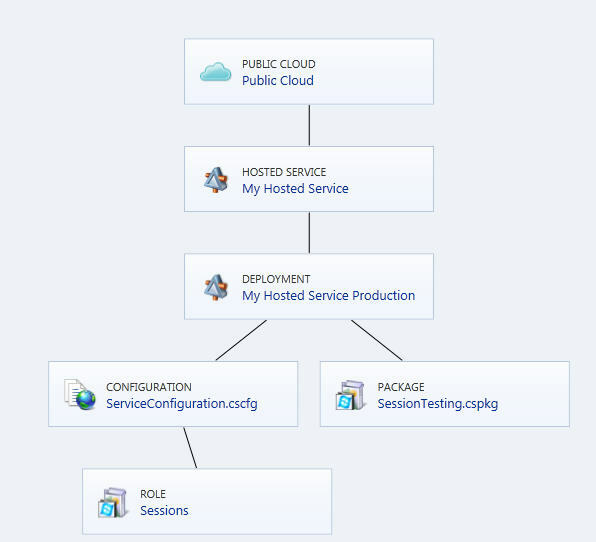 After you have created the required connections to both your private and public clouds, and set up the libraries to serve your clouds with resources, you should easily be able to deploy new services in both clouds using App Controller. After the job is done, you`ll find your service up and running in the Services tab in App Controller. 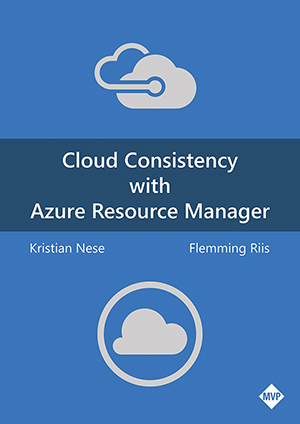 App Controller contain some nice features when it comes to managing your resources both in your private cloud, and also in Microsoft`s public cloud, Windows Azure. 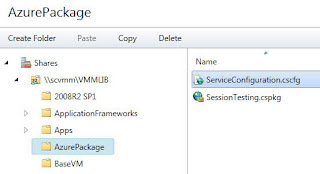 One thing I find quite useful is that you can create a folder in your VMM 2012 library containing your Windows Azure packages, and then move them to your public library so that they will be available for your application owners/developers. 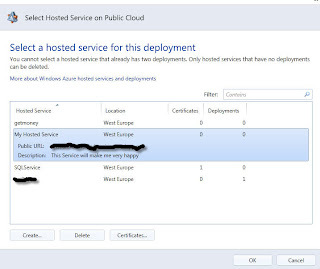 On the Library page, expand Cloud Libraries and then expand the Windows Azure node. 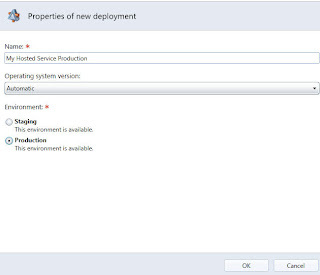 Expand the Windows Azure subscription in which the new container should be created. 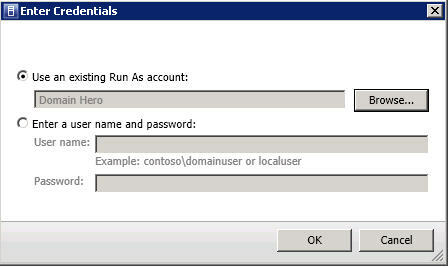 Select the Windows Azure storage account in which the new container should be created. In the Create Container dialog box, enter the new container name. The container name must be a valid DNS name. For more information about naming containers, see Naming Containers, Blobs, and Metadata. Authorized users can copy files from shares to their corresponding public cloud libraries. Go to the Library page and navigate to the share from which files should be copied. Select the file or files to be copied. 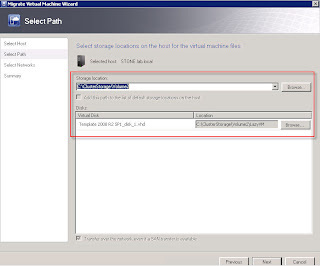 Navigate to the Windows Azure storage container. Ok, I`ve done this a couple of times no, so I want to share it. First you make the SCVMM/SCOM integration (http://kristiannese.blogspot.com/2011/12/integrate-scvmm-2012-with-scom-2012.html ) and import all the required management packs in that process. 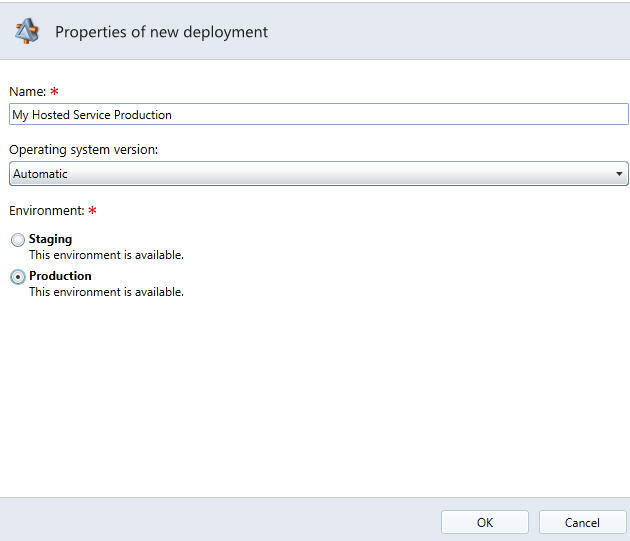 Once this is done, you have to import several management packs into System Center Service Manager 2012 before you`re able to install the Cloud Process Pack. In this example, I`ve used "SET RECOVERY SIMPLE WITH NO_WAIT", but you can use any other. Today, Digi.no published an article that referred to a survey conducted among 2000 CEO`s in Norway. So what exactly is this telling us? First of all, we can confirm that there is a lot of misunderstanding when it comes to cloud computing (still) and obviously, the result speak for itself. If 61% states that they have no use of cloud computing and only 11% says that they have not enough knowledge about the subject, it`s quite clear (to me) that the 61% have a lack of knowledge about cloud. There are also some differences like 6% use cloud computing because it reduces the risks for infection and malicious code, when 2% answer the same when they explain why they`re not using cloud computing. The article in general does not mention anything near the private cloud. And it`s very common that the newspaper around here think of cloud computing as public cloud only. It`s true that people are struggling with the entire cloud concept. They have to understand the cloud to be able to explain why or why not using the cloud in the context of their organization. There are different deployment models (Public, Private, Hybrid and Community) and several service models (IaaS, PaaS and SaaS). It`s definitively a market out there to sell and deliver services through the cloud, but first of all, the need for knowledge on the subject is bigger. Recently, my blog “Virtualization and some coffee” went live on facebook. 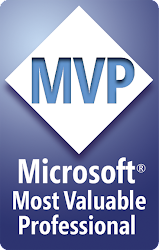 We`ll run an IT-pro campaign early in January and it’s related to Microsoft Private Cloud offering. The content will focus on Hyper-V and System Center 2012. The primary focus will be on how to plan for, build, enable and optimize the private cloud. It`s a lot more than virtualization and we will even be helping with questions related to public cloud offerings as well. 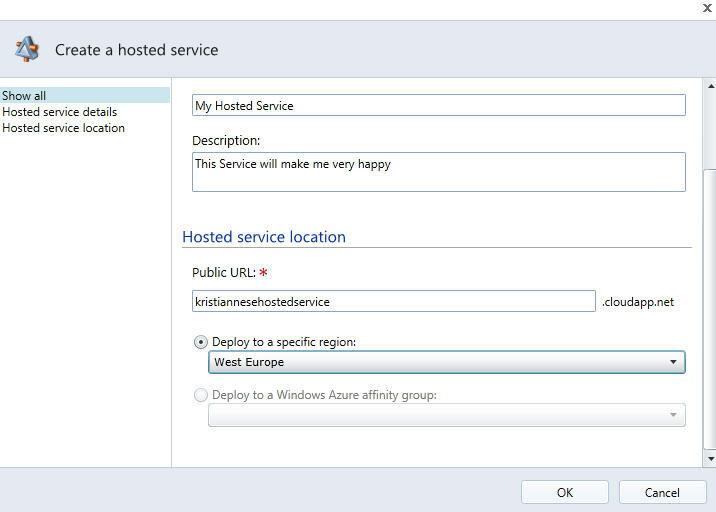 What`s Windows Azure Content Delivery Network? I was recently asked what you can use Windows Azure Content Delivery network for. It`s a worldwide system that intend to cache and delivery blob content. There is about 20+ datacenters around the globe hosting this service (CDN). 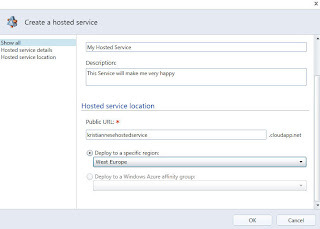 When you have a storage account in Windows Azure, it can be enabled for CDN. The blob must be placed in a public blob container that`s accessible by using an anonymous sign-in. CDN is meant to reduce latency and maximizes bandwidth by delivering content closer to the user. So if you have data that`s not constantly changed, you should consider CDN for the best user experience. Service Level Agreements (SLA) is mostly referred to as the contract you have with your service provider. Here`s some notes to have in mind if you actually should define and create your own SLA that you will offer to your customers and clients. If you plan to offer IaaS to your customers/clients, your responsibility will at least include hardware, virtualization/hypervisor/, servers and clusters (in other words, the entire Fabric) and the clients will have the responsibility related to the content within their VMs. There are so many opportunities in these days, to speed up your knowledge on essential Microsoft products. 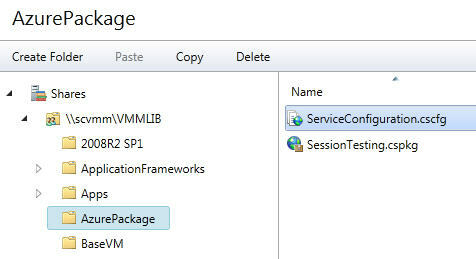 And now, you`re also able to test System Center Virtual Machine Manager 2012 on TechNet`s virtual lab. Together with Virtual Academy, you`ll have the chance to adopt the knowledge that`s required in 2012. Yes, 2012 will be the cloud-year, and many companies will be looking after skilled people that can manage both private and public clouds. And more important: people who know what cloud computing is, and how to exploit the cloud in the context of business strategy. A question was raised in the VMM forum earlier. The user wanted to assign a cloud for a bunch of VMs, and that would be a very long and manual process to do without using PowerShell. Here`s the PowerShell cmdlets for assigning a cloud for your VMs. 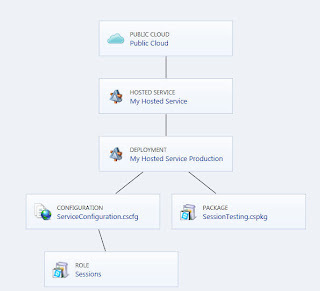 $cloud = Get-SCCloud -Name "Cloud 01"
I`ve been working intensively with the Cloud Process Pack lately, to provide a self-service environment in my private cloud. You`ll need the following building blocks before you are able to play around with this pack. All these System Center products must be connected and integrated with each other. And this is not a trivial task – at all (BETA). I will rebuild my lab and post the required steps. The blog post will be relatively long, so I`ll post it later this week. You are probably already aware of the new optimization techniques in VMM 2012 – Dynamic Optimization and Power Optimization. However, you might want to integrate SCOM 2012 to monitor your VMs and enable the good old PRO for monitoring your VMs and more important (?) your Services. If you just start to run the integration wizard, you`ll most likely end up with some error messages that indicates that several management packs are missing from your SCOM 2012 server. 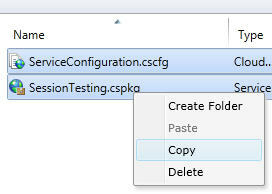 So before you start, you should import the following management packs to your SCOM 2012 server. Once this is done, you`ll find some new options on your hosts groups. 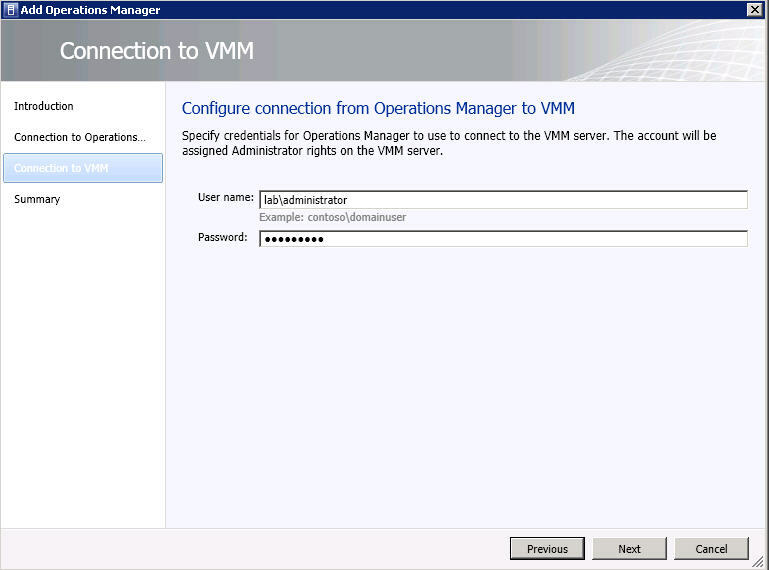 In VMM 2012, this is now easier than ever. 1. First. 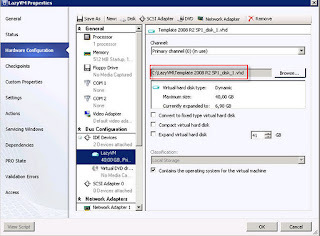 If you have a VM that is located on some local storage on your Hyper-V host, you can verify this by looking at the hardware for this virtual machine. 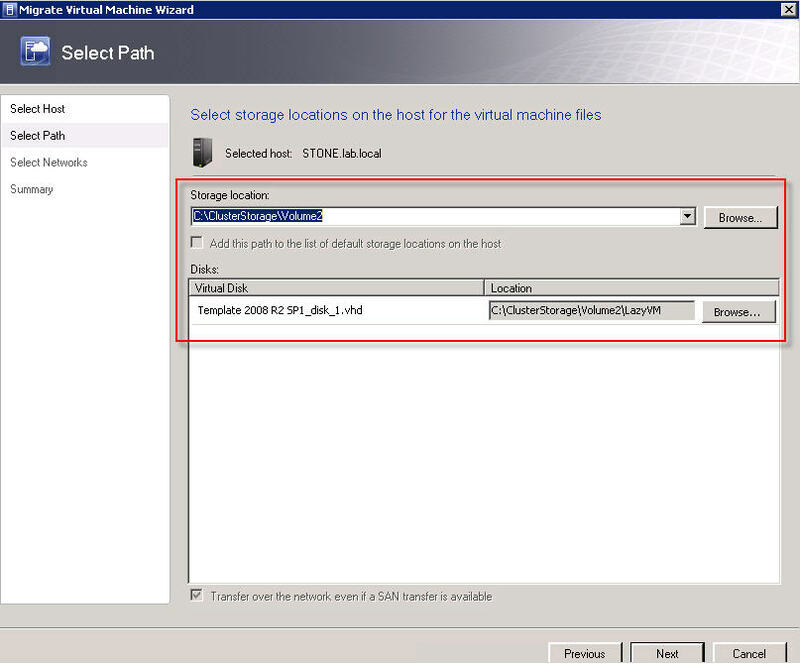 Select the VM, click properties and navigate to the hardware tab. 3. Pay attention to this screen shot. 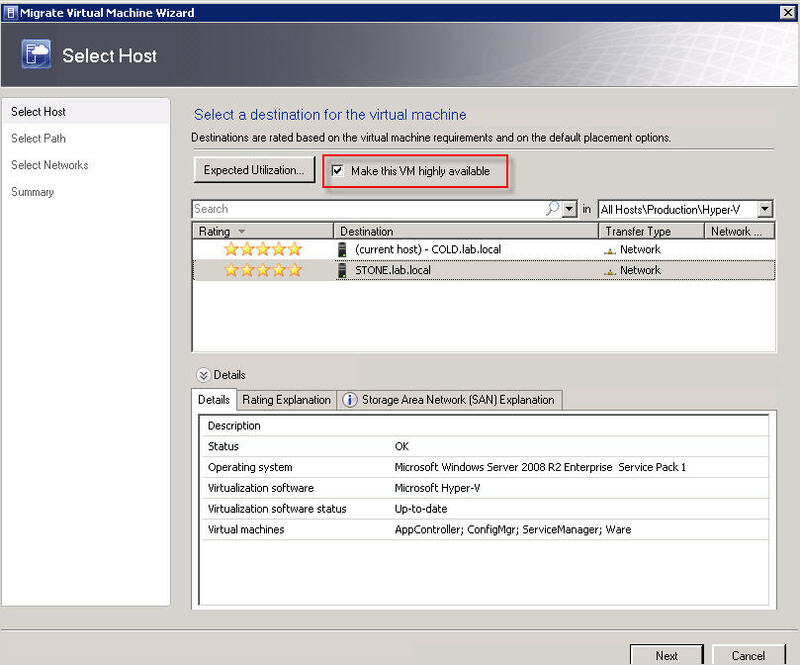 You only need to mark the “Make this VM highly available” option, and VMM will trigger the export/import process. 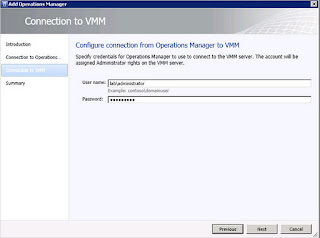 I was recently asked if I could write a blog post about the Distributed Key Management in VMM 2012. 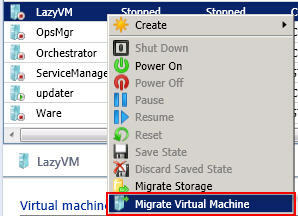 Fair enough, and it`s worth mention since it`s required when you`re installing a Highly Available VMM server. But why write something that someone else already has written in detail? You guessed it! Aidan Finn wrote about this earlier this year. I was recently interviewed by ITPro.no (www.itpro.no – a Norwegian community for IT-pro`s). 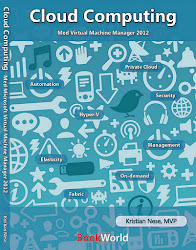 The interview is all about cloud computing and my thoughts on the subject since I also recently wrote a book – Cloud Computing – med Virtual Machine Manager 2012. 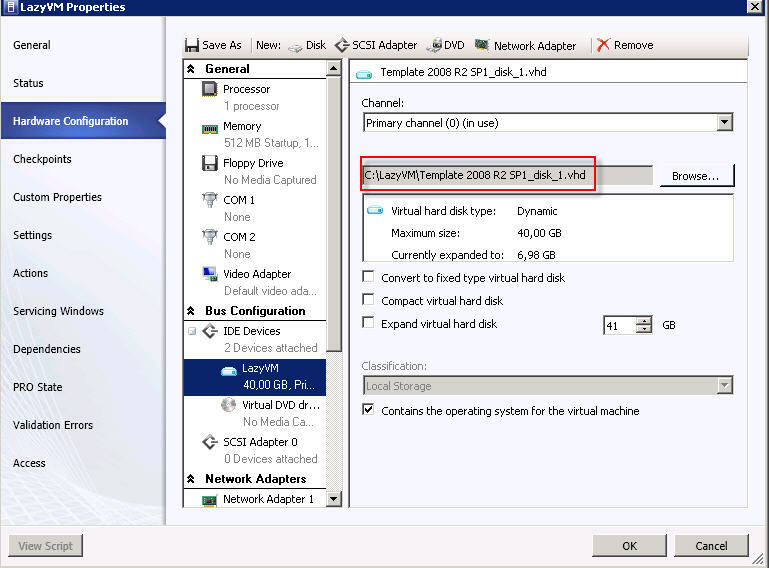 I`ve been asked if I could explain how you add a Hyper-V server into a Hyper-V Cluster, using VMM 2012. Here`s the guide. 1. 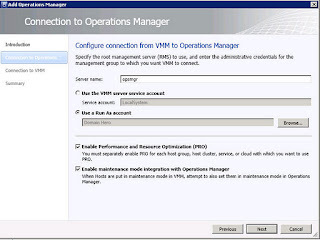 You must already have an existing Hyper-V Cluster in a host group, managed by VMM. 2. Right click the cluster and select ‘Add Cluster Node’. 3. 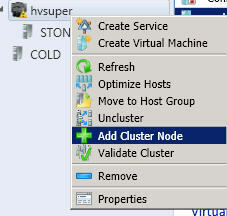 The node you intend to add to this cluster should prior to this operation been added to VMM, so that VMM is aware of it. 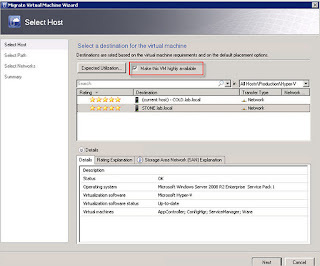 From the available hosts, select the hosts you want to add to your Hyper-V Cluster. Note: This screenshot shows that I`m not following the best practice. The reason for that is that this is a simple lab. You should run the cluster validation in the real world. 4. Either use a Run as Account (you create these under the ‘Settings’ workspace in VMM) or type the required credentials for this operation. 5. 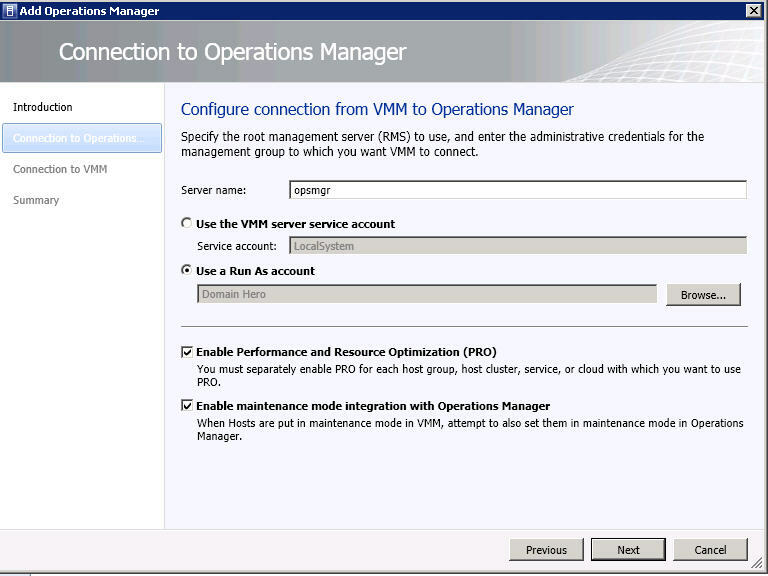 VMM start its magic and adds the Hyper-V server(s) (install Failover Cluster feature etc) you selected. It`s quite common (here in Norway) that some local hero have installed the Windows Server when the organization/company is really small (1-5 employees). The thing I want to address is that when they do this, they normally install the Active Directory Domain Services role – along with DNS server. What about the DHCP role? Nope. They already got some internet connection delivered by their ISP, so the clients are already connected to the internet. For all the other natural causes that I could use as arguments against this setup, I`d rather want to mention a common error message that appear when they run their LOB applications that uses Microsoft SQL server for their databases. This error message occurs on clients attempting to connect to a SQL Server on the network. And this message is purely related to DNS. When you have an Active Directory domain and the clients are using the “wrong” DNS, which in these cases is the router/firewall (default gateway) or an external DNS, they cannot use name lookups to verify the server name. In short, the DNS server from their ISP have very little knowledge of the server who is responsible for their databases on their local area network. Conclusion: If you`re running an Active Directory domain, whether you have one employee or 15, please use your internal DNS server so that name lookups and other AD-related stuff may occur. One thing I really miss is the the opportunity to auto-scale applications in Windows Azure. You can get around this by yourself, but it requires some creativity. However, check out this Enterprise Library Integration Pack for Windows Azure!